Don't stress about your home on vacation! 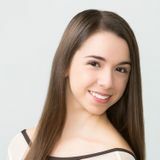 Hello my name is Danielle and I am a professional dancer at City Ballet of San Diego. I am here to help look after your home while you are on vacation; whether is it a short weekend getaway or a long trip! I have been House Sitting for two years. My services include: feeding pets, walking pets, light housework, watering plants, collecting mail, taking out trash, watching homes overnight, and anything else you may need while you are away on vacation. I am extremely reliable, trustworthy, and will always make sure your home and pets are well taken care of while you are away. Now, you will never need to worry while on vacation!